It’s time for your brand to show n’ tell. Imagine a world where your customers embrace everything you do because they totally love your brand. We believe your brand can achieve that. The problem is, every business has a brand but not every brand is working hard for its business. And that is because not every business knows what a brand is. What is a brand? A brand is not just a logo, product or service. Your brand is the sum of everything you do. It is the set of expectations, memories, stories and relationships that account for a consumer’s decision to choose one product over another. It is the essence of your competitive advantage. Your customers are inundated with sales messages. They have heaps of choice and too little time. Most offerings look the same. So, they choose a brand based on trust, an understanding, a gut feel, a deep emotion, a connection or a value-based expectation. Strong brands are built on positive experiences, authentic stories that tap into emotion, and marketing that shows value. Strong brands show heart and tell a story. They know why their brand is different than others. Why they provide a great solution to their customers need. What does your brand say about you? Does it tell a story? Show value? Tap into emotions? 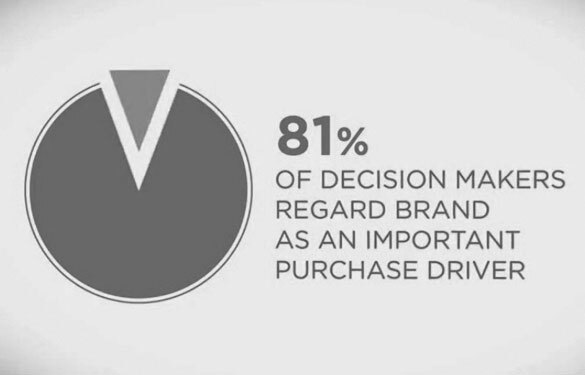 Do you help your customers see why your brand is the best choice? We believe every brand has a story and we want to help you tell it. We provide branding, graphic design, copywriting, infographics and consulting for businesses that want to connect with their customers. Your customer will look to your business for a reason. When communicating your brand messages you need to think through their eyes. What do they want? How can you help them? Why should they align themselves with your brand? Do they believe in what you believe in? What do they want? They want to be your number 1 concern. They want you to care about them. Tapping into your customers’s emotions shows them you care. How can brands do that? Through lovemarks that reach your customer’s heart as well as their mind. Build a relationship, not a mere transaction. We use the psychology behind branding and the things that make consumers infinitely loyal to your company. We help you define the needs of your customers and how you can most effectively engage with them through lovemarks. We create positive experiences by giving your brand a voice, a personality, a look and feel (like a character from a movie). We help you bring your brand to life. We launch new brands. We rejuvenate tired brands. We extend solid brands. We build strong brands. Strong brands are created through emotion, through a promise that makes your brand memorable. Spot quiz… who are you? What do you do? Why does it matter? Unless you have compelling answers, you need more brand focus. We help you engage your customer by using a rule from cinema – which is to show, not tell. That doesn’t mean there’s no text, it simply means you must be informative but also entertain. We assist your business through brand strategy such as consulting, business coaching and copywriting OR through design of a logo, flyers, business cards, signage, product packaging, event styling, infographics, company culture, everything in your brand experience. No matter what your branding needs, we can help you get real results. We aren’t exactly the guardians of the galaxy but we do consider ourselves to be the guardians of your branding (which we think is equally as important). Let us help you create a brand you love. Arrange a quoteLogo packageBranding ecourseWhy infographics? We take pride in creating design solutions that make your life better. We know the right blend of strategy, information architecture, data viz, copywriting, design and marketing to turn your average branding, into exceptional.